As great as the OnePlus 6T is, there are some things its predecessor, the OnePlus 6, does better. Thankfully, if you were looking to pick up the OnePlus 6, the device is back on sale. Right now, you can get the phone for as low as $569, about $130 off regular price. 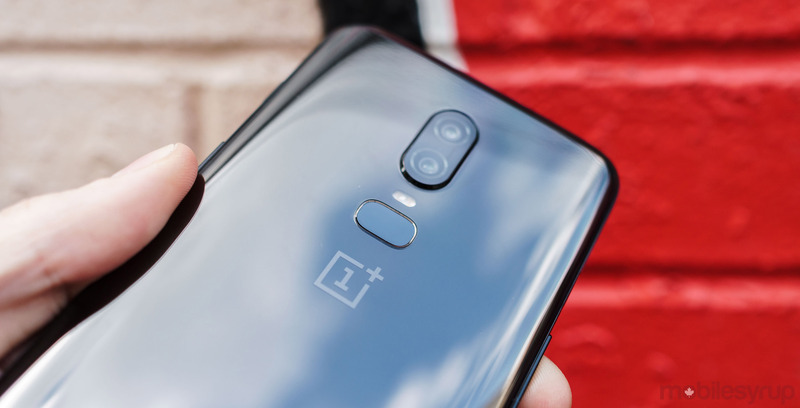 The OnePlus 6 comes in Mirror Black and Midnight Black colours. Further, there are different memory configurations, with 6GB RAM and 64GB storage at the low end, up to 8GB of RAM and 256GB of storage at the higher end. All colours and configurations are $130 off, but at the time of writing the Mirror Black 6GB RAM model was out of stock. So was the 8GB RAM, 128GB storage Midnight Black model. Beyond the colours and memory, every OnePlus 6 sports a Snapdragon 845 chipset, a 6.28-inch 1920 x 1080 pixel 19:9 screen and a 3,300 mAh battery. Most importantly, the 6 has a headphone jack — something that’s missing from the newer 6T. If you’re looking to pick up a OnePlus 6, you should move quickly. It’s not clear how long the deal will last. You can buy a OnePlus 6 here.